Pilu at Freshwater: Yaye, we made it through xmas! Yaye, we made it through xmas! 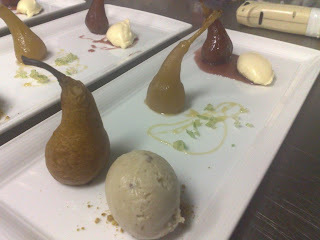 Trio of baby corella pears, one is baked and filled with sultana's and almonds, and next to it is a banana, date and honey gelato. 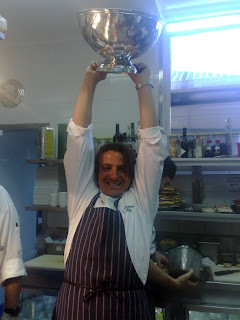 Next one is poached in mirto, and the last in poached in Bracetto, and accompanied by a quenelle of sweetened ricotta. 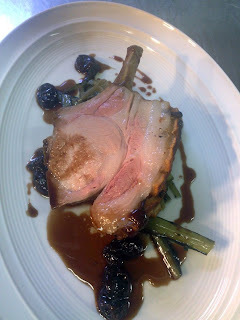 Slow cooked pork rack, with ciccoria, and cherries. 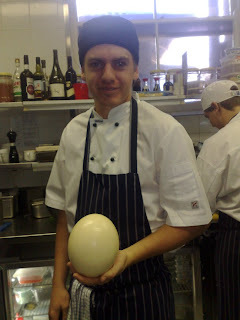 It was HUGE, and fed all the staff at lunch! 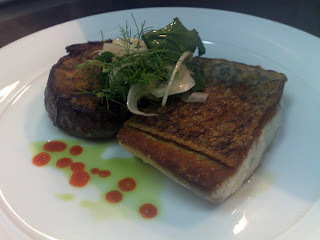 Crispy skinned barra, with a sardinian style baked eggplant, and basil oil. 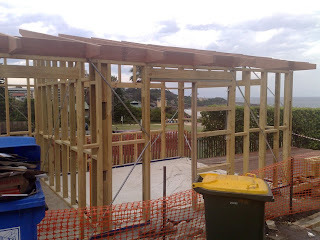 Construction on the new aqua fresca cafe has begun! 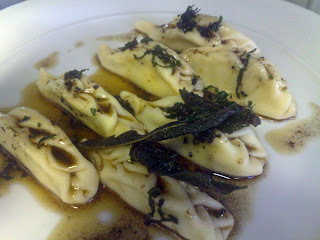 Bumble bee tortelli's. 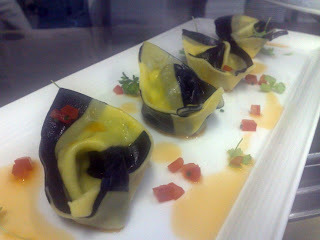 Saffron and squid ink, with bug tails and pea puree inside. Drizzled with crustaecean oil. 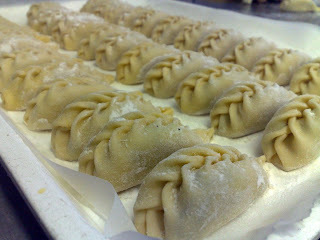 Finally we've started making traditional shaped sardinian culingiones. 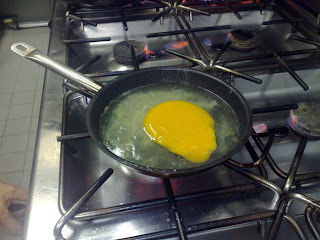 They take a little more time to make though. 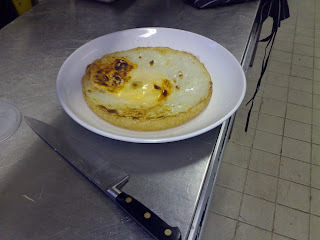 But they are tasty with burnt butter and truffle paste! 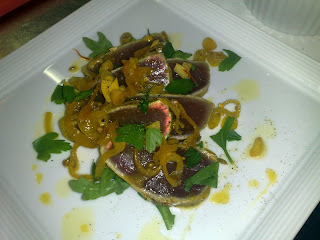 This is an entree of yellow fin tuna eschabeche, with wild rocket almonds and parsley.